I remember the Mother’s Day that I was pregnant with my firstborn. I was so excited. I dreamt of being a mother my whole life and in a few months I would finally have my baby to hold. I was going to be a mom. There have been a lot of years since then. God blessed us with five younger siblings for my oldest daughter. I survived those early exhausted Mother’s Days when motherhood meant dirty diapers and midnight nursing sessions. I have done the Mother’s Days with kindergarten handprint pictures and photocopied poems about dirty fingerprints. I’ve received handmade jewelry and painted t-shirts. I have had the houseful of excited kids who can’t wait to present me with a special gift he or she picked out “all by myself”. A lot has changed over the years. Mother’s Day still means hand-made cards from the twins but there are also thoughtful “grown-up” surprises from Karissa and someone making me breakfast in bed. There are gifts from my husband. There might even be a rare kiss from a very grown-up 7 year old. Mother’s Day is a good day. Mother’s Day is also not so good a day. Mother’s Day for the mom who has had to bury her child is painful. Awful. Terrible. Any loss is hard but losing a child is different. A wife who has lost her husband is a widow. A child who has lost his parents is an orphan. There is no word for a parent who has lost her child. Does it defy description? Is it too painful a situation to label? Some people would say it is a first-world issue. Third-world parents often bury their children. It is normal. They don’t assume that their children will outlive them. But we don’t. We expect a certain circle of life. Children burying grandparents and then parents. It is what we expect. But life doesn’t always work like that. The first Mother’s Day after Arlynne died, Pete, the kids and I went to the cemetery. We are not frequent visitors there. I met a mom a few months after Arlynne died. Her son died the same week as Arlynne. At that time, this faithful mourning mom was there, at the cemetery, twice a week. That isn’t me. In the early days I used to go a lot more than I do now. But some days, some occasions, just seem to require a visit. I have never seen as many people at the cemetery as I did that Mother’s Day. Sometimes I can go for a visit and never cross paths with anyone. Not on Mother’s Day. I guess it is because there are a lot of people who are missing someone on that special day. One of the pictures that stands out the most vividly in my imagination on that first Mother’s Day without Arlynne is a scene involving a mom and her 2 children. The kids, a boy and a girl, were probably school aged. They were planting flowers on their father’s fresh grave. I could see the mom struggling to hold back tears as she tried to keep her kids focused on the task at hand. It was heartbreaking. In the middle of my own heartbreak, my family’s heartbreak, I caught a glimpse of someone else’s. I have been looking forward to Mother’s Day and dreading it at the same time. I’ll have 5 of my kids surrounding me. I probably won’t have to cook. We’ll go to church together. We’ll gather with extended family. But all the while I can’t help missing Arlynne. Especially that day. 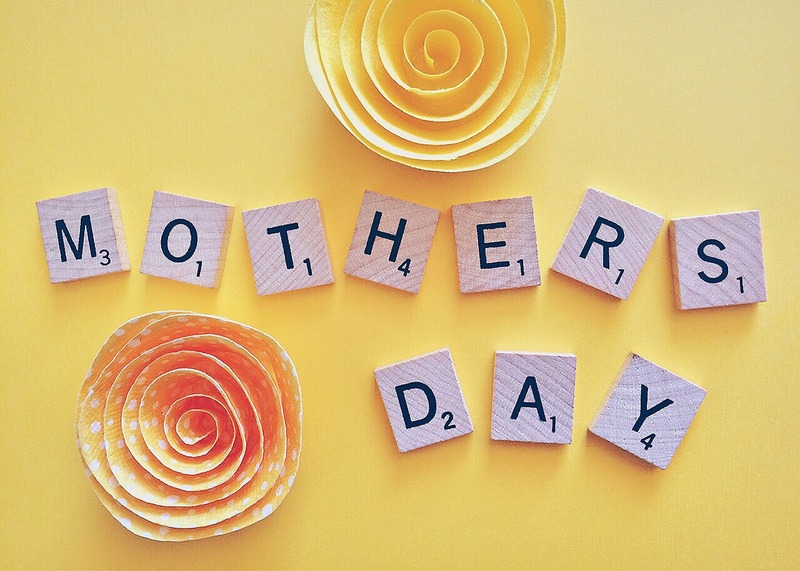 This Mother’s Day, when family is drawn into the focus, I need to be aware. As I mourn amongst my children who remain, I need to be ever cognizant of another woman’s pain. The woman who has had to bury her child. The woman whose child has forsaken her, abandoned her. The woman who has struggled, pleaded and prayed for a child who may never come. The woman, like at the cemetery, who has been forced into the role of mother and father to her young children. The woman who chose not to become a mother when the seed was already planted in her womb. It is all grief. It all comes to the surface sometimes. Mother’s Day is one of those times. I am so thankful to my Father God who made me a mother. He has blessed me with children who have helped to stretch me and shape me into the woman I am today. They have forced me to turn to Him when life has been challenging. When hormones kick in. When our son was finally diagnosed with Autism. And then when Arlynne went to Heaven. I call God my Father but He also exhibits the tenderness of a mother when He gently guides me. When He hears my cries. When I feel like I can’t go on He carries me. I don’t know how I would be able to carry on if I didn’t believe in Him. Life would be so hard. It is my prayer that wherever this Mother’s Day finds you, with joy or with pain, that you will know that the God of the Universe, the God who sees, the God who saves, the God who loves you unconditionally is waiting for you. My Father God can give you peace even with the mixed emotions of Mother’s Day.